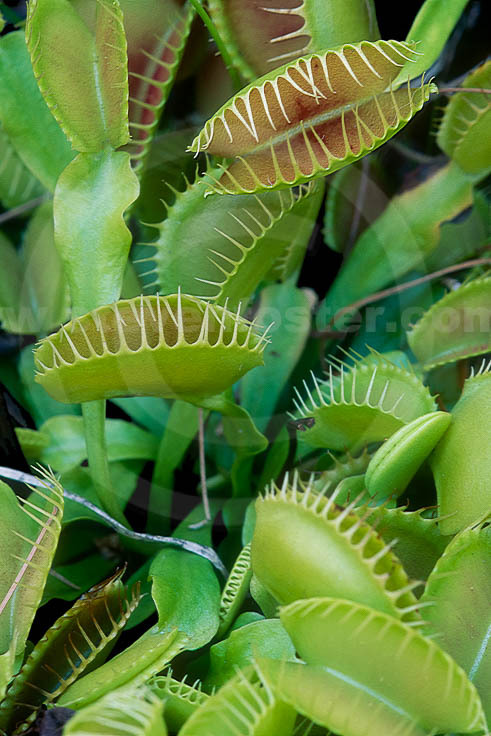 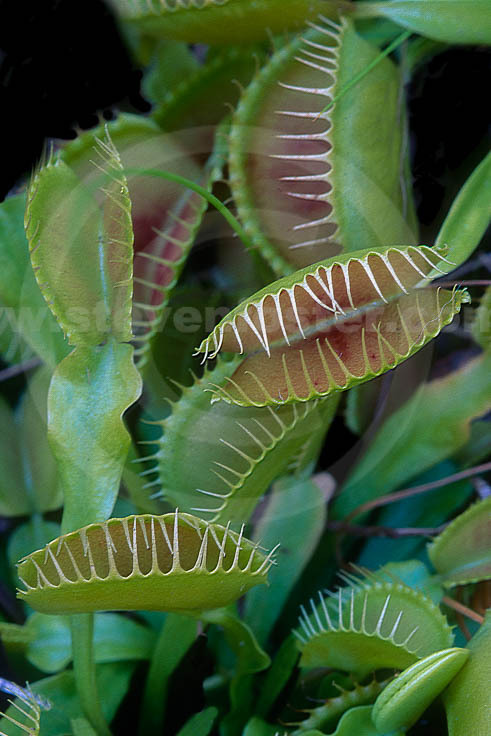 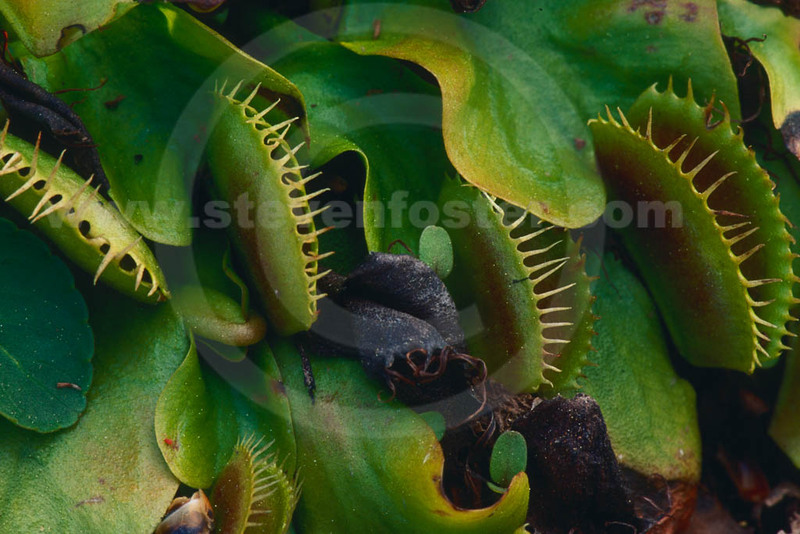 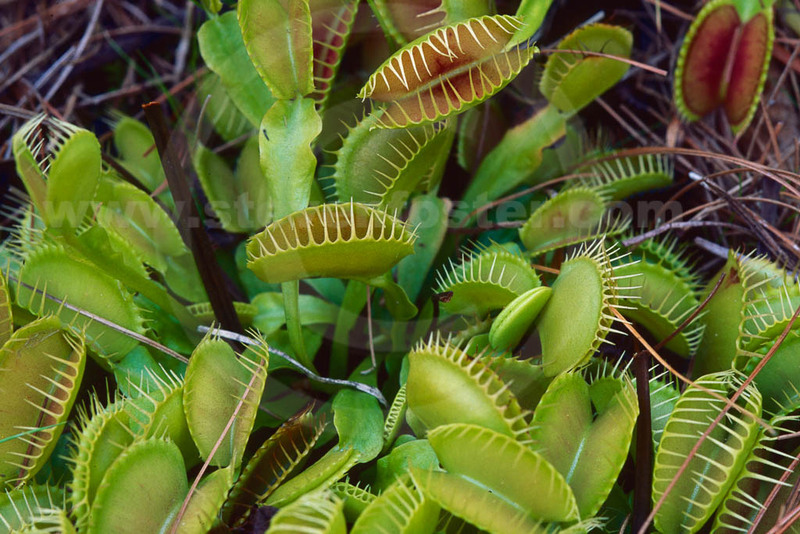 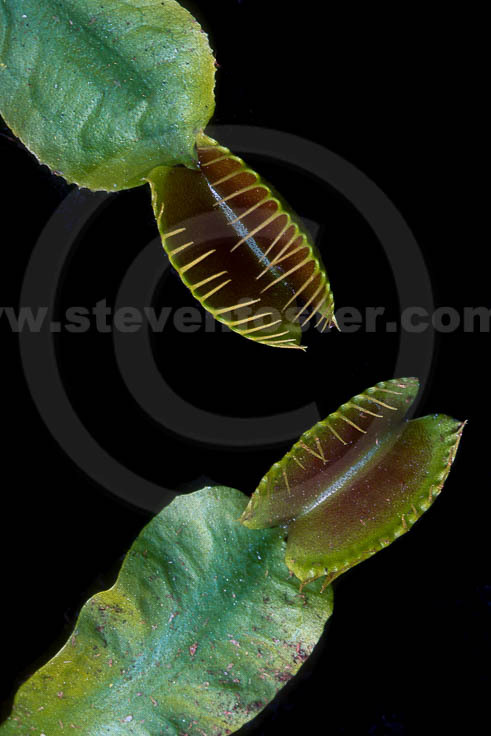 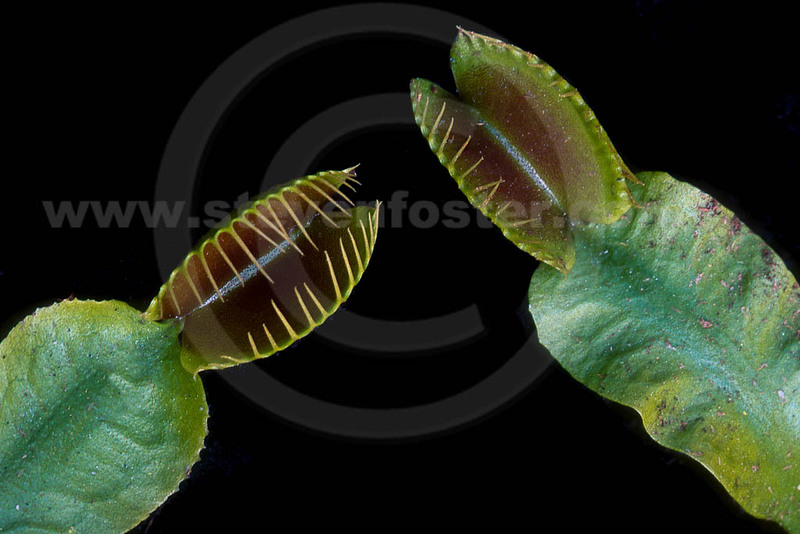 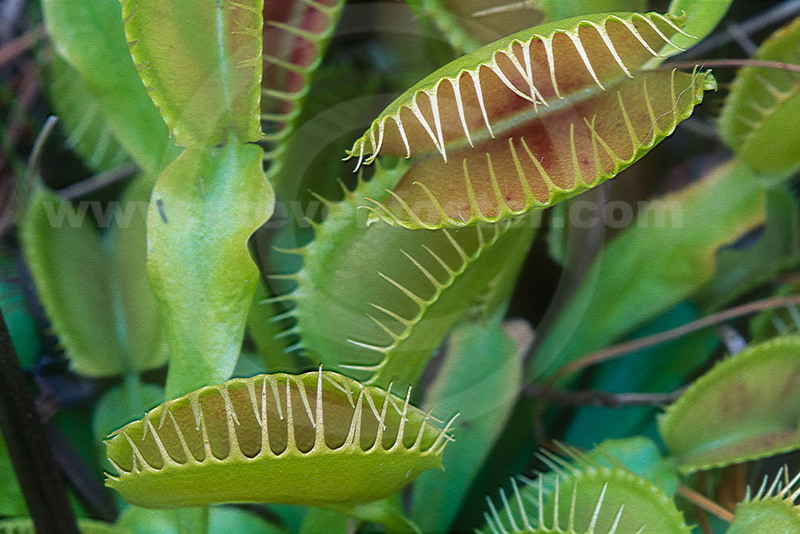 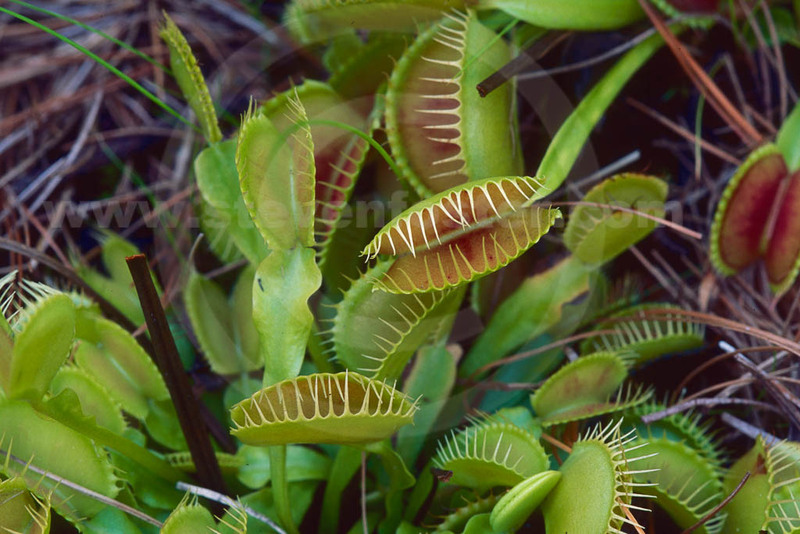 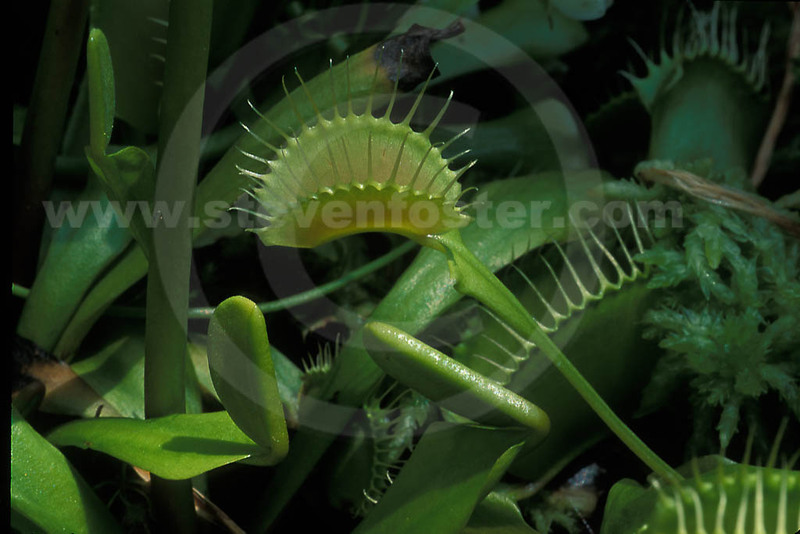 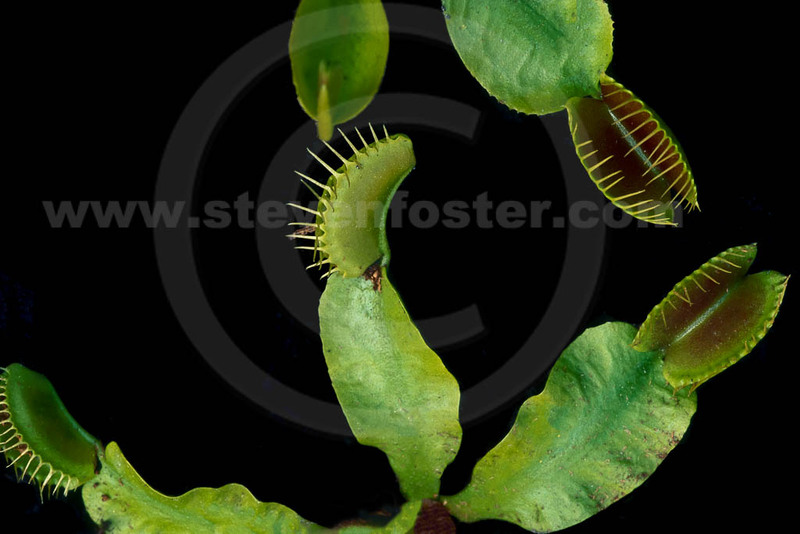 Photos of Dionaea muscipula, Venus Flytrap. 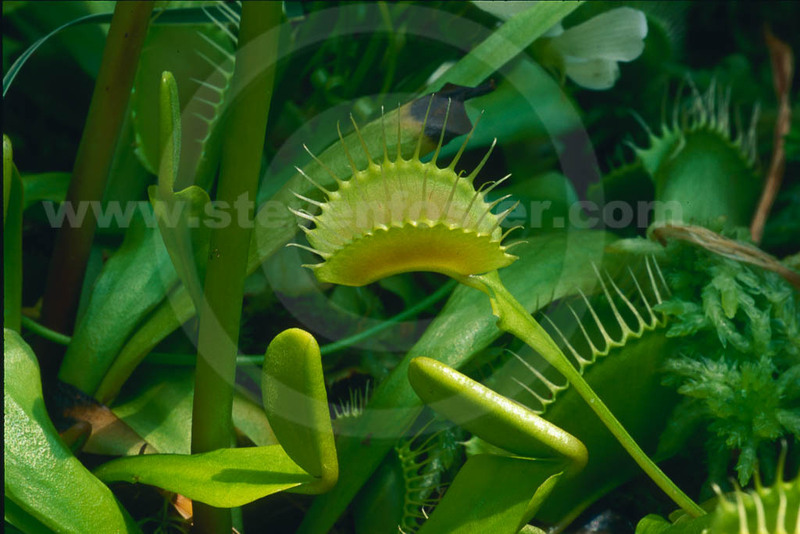 Dionaea muscipula, Venus Flytrap, first described by John Ellis in 1770 in a letter to Linnaeus, is endemic to swamps in the Carolinas. 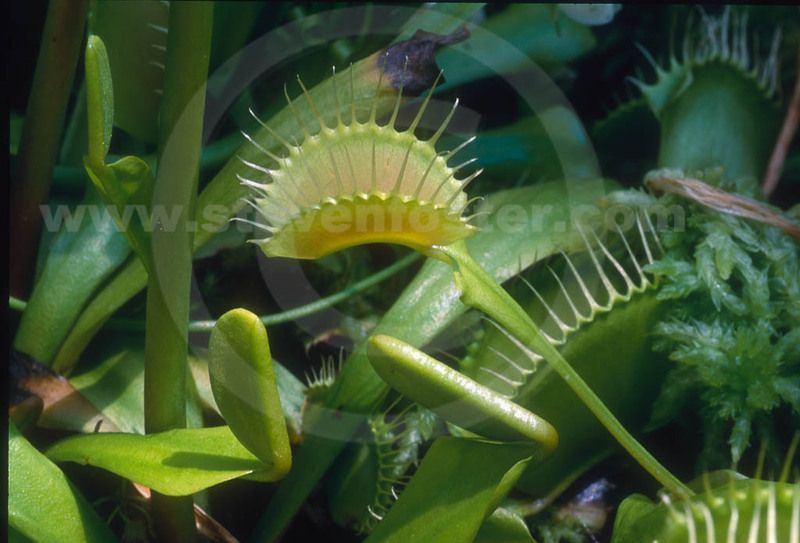 It is famous as a carnivorous plant preying on insects and arachnids. 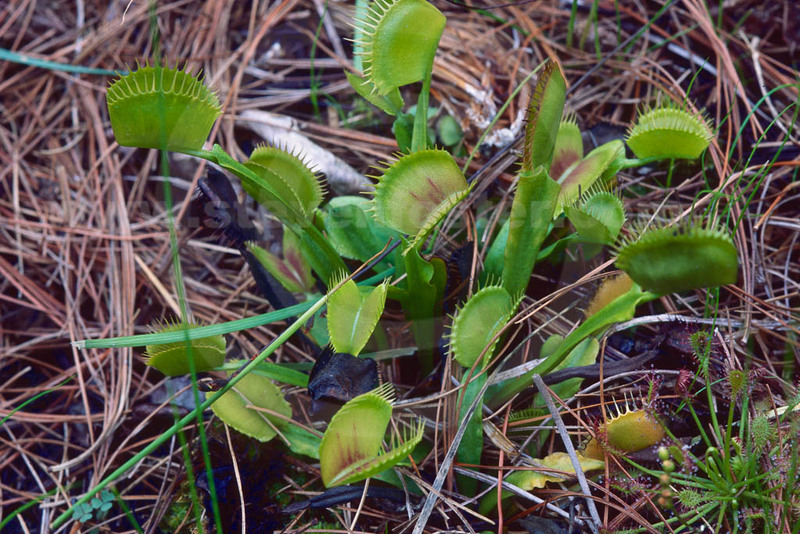 The hinged hair at the base of the open trap, causes the specialized leaves to snap closed and trap the victim, then digests it with hydrolase enzymes. 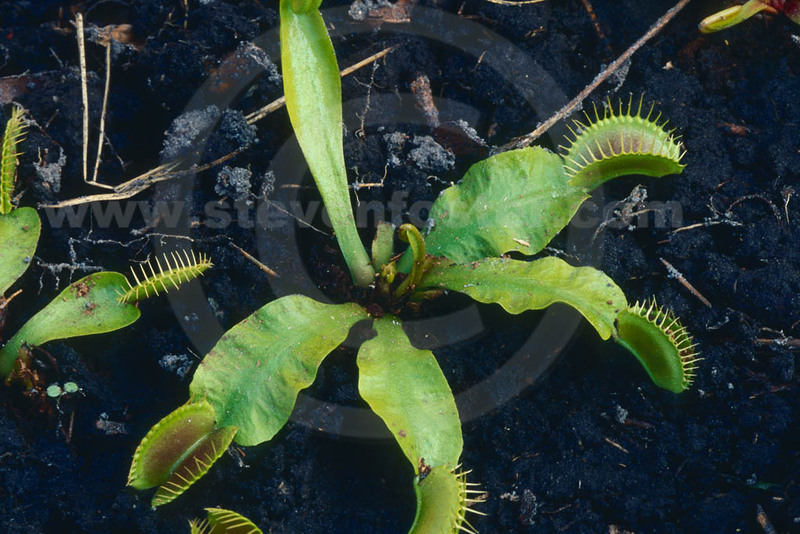 Plants are at risk due to harvest for the nursery trade and some dubious medicinal attributes, as well as habitat loss.